For many rural Americans, the local electric or telephone cooperative is their best hope for finally obtaining modern-day connectivity. With the support of government funding, rural cooperatives have brought electricity, telephone service, and more recently broadband access to some of the most rugged and sparsely populated places in the country. Who’s Ready for Some Tax Policy? As nonprofit membership corporations, rural electric and telephone cooperatives are exempted from paying taxes under section 501(c)(12) of the Internal Revenue Code (IRC). To maintain this tax exempt status, cooperatives must derive at least 85 percent of their income from members (e.g., from selling electricity). This is sometimes referred to as the the member income test or the income source test. The definition of “broadband” has changed over the years to reflect the way we use the Internet. From a mere 200 kilobits per second (Kbps) in download speed in 1996 to 25 megabits per second (Mbps) in 2015, it’s also important to remember that download speed is only part of the definition. While lobbyists for big ISPs argue the 25/3 standard is too high, 25 Mbps (download) and 3 Mbps (upload) is a reasonable minimum standard for broadband in 2018. Back in the day, we used to accept that accessing the Internet meant we couldn’t make phone calls. Technology has advanced, and now that seems ridiculous. In 2018, general household Internet use requires at least a 25 Mbps download capacity so that we can all use the Internet without disrupting each other. The FCC is scheduled to decide the fate of Internet access on Thursday, Dec 14. Will anyone anywhere in the U.S. be able to pay one basic fee to access information on the Internet from the most popular to the most arcane content providers? If all indications are correct, probably not. ISPs will increasingly decide on what terms we access the content we want. Prepare for your bills to go up. You might wonder why the FCC is so focused on rolling back such an overwhelmingly popular policy in favor of giving more power to the most hated corporations in America. It isn't because the most recent rules to codify the long-standing principle of non-discrimination has harmed investment. It hasn't. But something struck us about the lobbying campaigns around this issue. 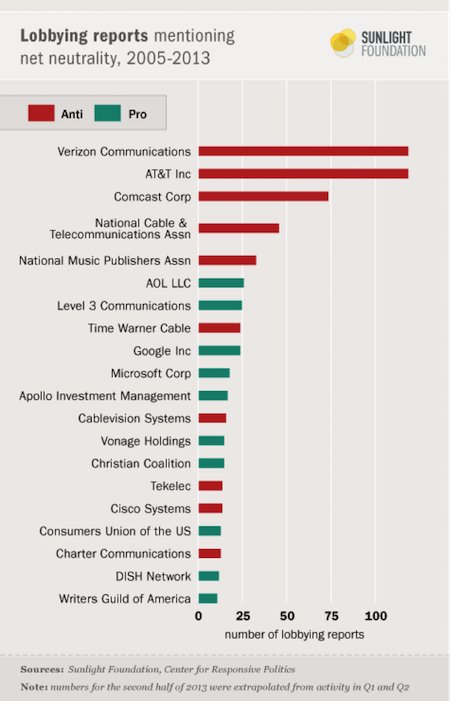 This graphic from the Sunlight Foundation shows just how hard the top telecommunications companies and their lobbying associations have focused on defeating network neutrality. The image shows lobbying reports generated by lobbyists and whether or not the entity is opposed (red) or in favor of (green) network neutrality. As you can see, the amount of red coming from the ISPs that serve most of America vastly outstrips the green. Since the Sunlight Foundation published this graphic in 2013, the landscape has changed in important ways. The two top firms supporting network neutrality were taken over by big monopolists that oppose maintaining an open Internet. This fall, nonprofits and other organizations with an interest in constructive broadband policy have worked to help the new administration’s FCC through the public comment process. We’ve let readers know about opportunities to share their thoughts with the Commission and we’ve submitted comments separately and with other likeminded groups. The Commission asked for comments on the method in which it collects data regarding where broadband is accessible. ISPs provide information to the FCC based on which census blocks they serve. We’ve often criticized this approach because it grossly overstates where coverage is available, especially in rural areas where census blocks tend to be large. Read our ideas for improvements to the Form 477 data collection, which include obtaining more detailed geographic information, minimum and maximum speeds, and pricing information. 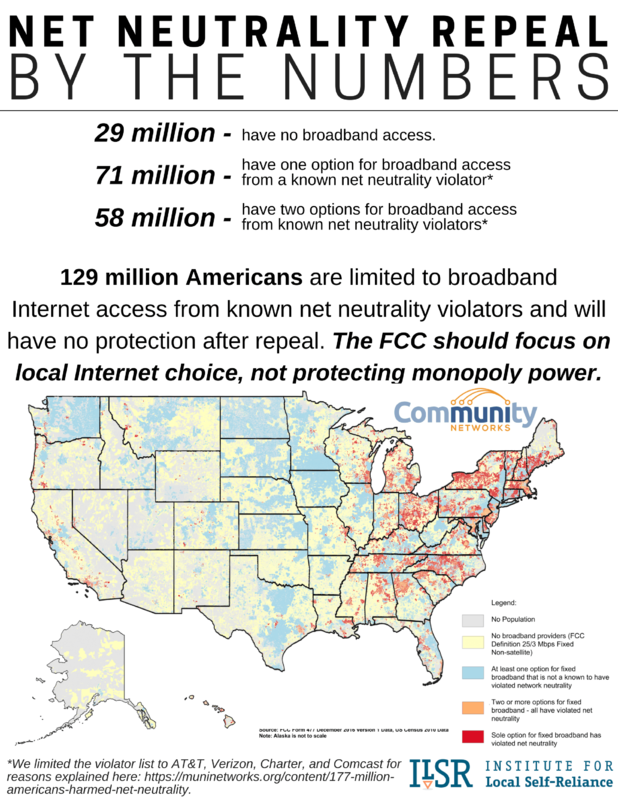 In order to help bring better connectivity to rural areas, the FCC distributes Connect America Funds (CAF) to entities such as companies and cooperatives to build broadband infrastructure. The process involves bids from these entities. The FCC is considering changes to the current process and bidding procedures, including what types of projects qualify for funding. The Commission asked for comment after proposing a long list of possible changes. We recently spoke with Jon Chambers of Connexon, who provided more detail about the program and offered his thoughts on CAF and the possible changes. Read our Reply Comments, that address issues we feel need attention, including the Carrier of Last Resort guarantee, more opportunities for rural cooperatives, and our concern that the FCC will attempt to equate subpar satellite and mobile broadband with high-quality connectivity. 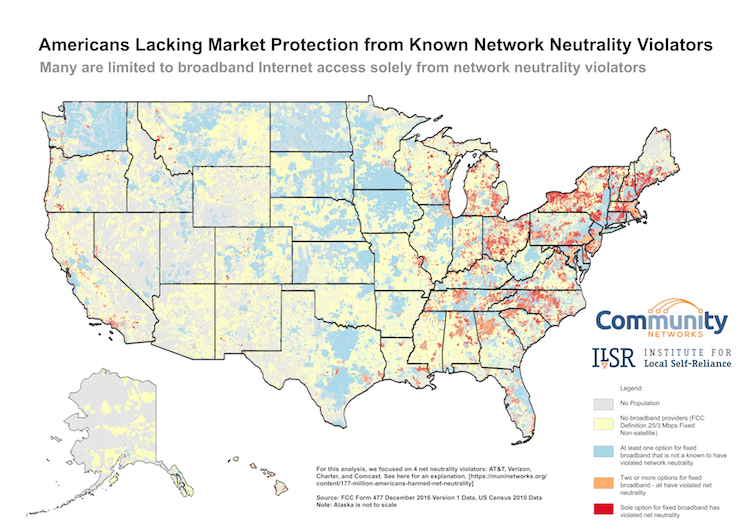 We filed our Reply Comments with Public Knowledge, Appalshop, and a long list of other organizations concerned about Internet access in rural America.